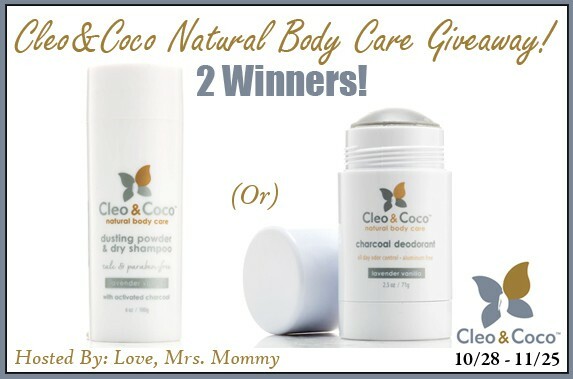 Welcome to the Cleo&Coco All Natural Body Care Product Giveaway! We founded Cleo&Coco because we felt that customers shouldn’t have to choose between their health and body odor. We want to change the nature of deodorants (pun intended) from a chemical-ridden necessity to a more pleasurable experience where customers can feel confident that they are protected against odor all day. 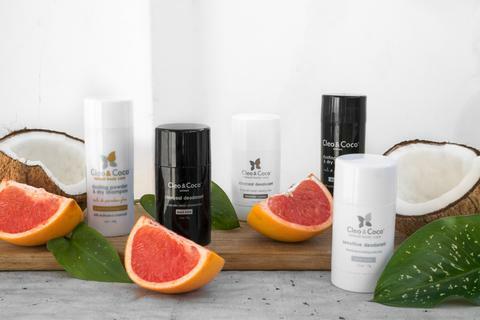 Cleo&Coco offers completely natural products that are 100% effective in luxurious packaging and scents. 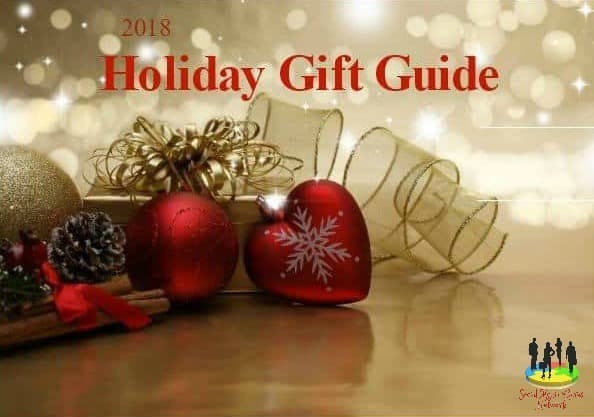 All our products contain activated charcoal and bentonite clay which act as natural magnet eliminating bacteria and odor and absorbing 1,000 times its weight in wetness.Cleo&Coco products are made in the USA and woman owned! They are free of parabens, sulfites, aluminum, and gluten and are never tested on animals. Every ingredient is natural and has been carefully considered and chosen for a purpose. Ingredients work together synergistically and are suitable for both men and women of all ages.